TOURS GO THROUGH ALL B&B ROOMS FROM 10:00am to 4:00pm (tour times are 10am, noon, 2pm & 330pm). 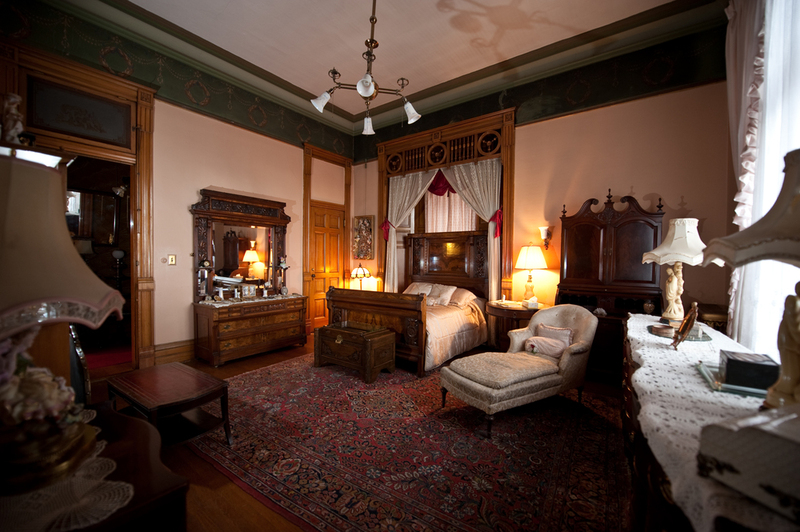 Sleep where Senator W. A. Clark rested his head at night in Butte, this suite features sycamore woodwork, a hand-carved fireplace, burled walnut bed and matching dresser. The sitting room is graced with a birds-eye maple fireplace. The spacious master bathroom is decorated with beautiful stained glass windows, a remarkable collection of antique combs and beaded purses. Private bathroom with a tub, no shower. Originally the Clark family's private room, this spacious room features two full-sized African Mahogany sleigh beds, which sleep up to 4 guests. Massive bay windows bring a light and airy feeling to the room. It boasts a handsome fresco- painted ceiling, an original hand-carved cherry wood fireplace accentuated with a diamond-backed mirror. Private bathroom with a claw foot tub, no shower. This room is elegantly furnished and decorated with an exquisite rose motif. The queen size bed and matching set of furniture is of Carpathian burled walnut. There is a sink in the room. This room shares a bathroom with Birdcage shower, withAndree's room and the Butler's room. 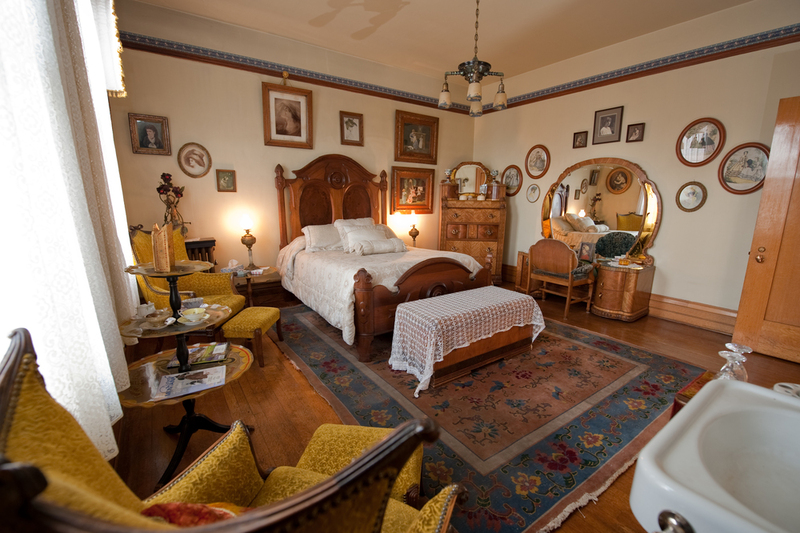 This room is named after Huguette Clark who was William Clark's youngest child, who recently passed away in 2011. The book by Bill Dedman & Paul Clark Newell Empty Mansions details some of her experiences. This room features oak woodwork and is decorated in 1920's style Art Deco furniture called Waterfall Walnut. There is a private sink in the room and one double bed. This room shares a bathroom with Birdcage shower & tub with Huguette's room and the Butler's room. This snug, cozy quarter is where Clark's butler slept. It shares a bathroom, the bath with the Birdcage shower and tub. This room is preferred by single travelers who don't want or need more space than required for a good night's sleep, but there is room for two in the full size bed.